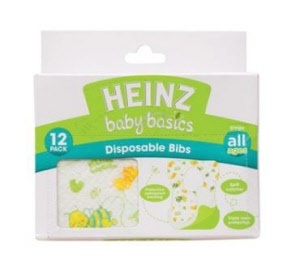 Heinz Baby Basics disposable bibs are handy to have when you're out and on the go. 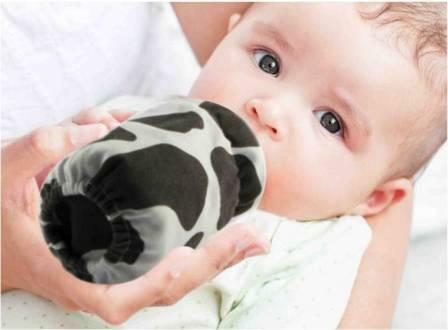 Easy fastening and optional crumb catcher. 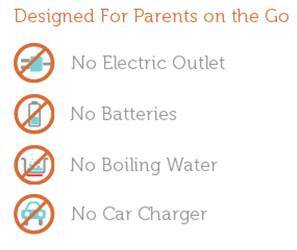 Great for babies or keeping toddlers mess free on long trips. 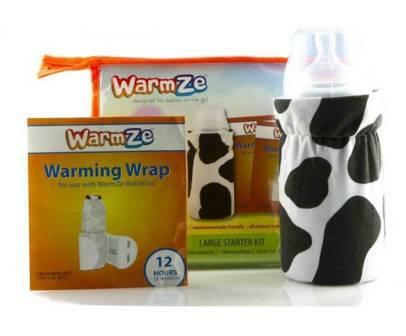 12 pack in dispenser box.